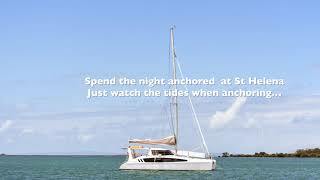 Experience Yachting on Moreton Bay from Bribie Island to the Gold Coast. 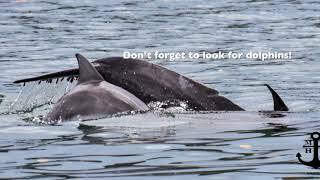 Sail the calm waters or get up and personal with dolphins and dugongs. Visit the penal colony at St Helena. Motor up the Brisbane River. See the city lights from the water. Fish the creeks off the Gold coast. 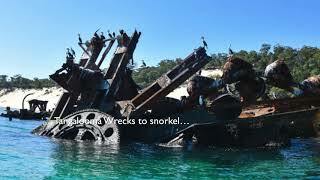 Snorkel the wrecks of Tangalooma. 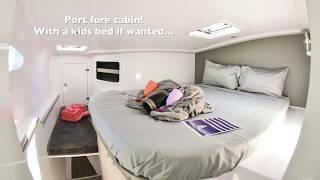 Choose from 2017 Seawind Catamarans that accommodate up to 10 guests overnight in comfort and space. Their catamarans are new, with every luxury and safety feature, or choose a power catamaran. Their yachts leave from Cabbage Tree Creek Marina in Sandgate, Brisbane. Recently remodelled, their own base is within 15 minutes walk from trains and stores and 15 kilometres from the Central Business District of Brisbane. They offer Bareboat Self Hire yacht hire and Skippered charters. Their Captains can do half board charters with some meals included. Private day sails with a Captain are available from Sandgate over to Moreton Island, the Redcliffe Peninsula, St Helena or Peel Island. They are the first and only company on Moreton Bay offering this amazing experience. Their yachts suit couples, families or groups of friends. Explore and Experience everything Australia has to offer. Yachting is their world. Captained Private Day Sails for up to 12 guests from Sandgate to Moreton Island, St Helena, Peel Island, Redcliffe Peninsula or Brisbane River. Bareboat Self hire and drive for two nights up to a week. Moreton Magic is a deluxe Seawind 1260 Sailing Catamaran that can take up to 10 guests overnight. Cruising area is from Bribie Island down to the Gold Coast with 20 islands to explore. 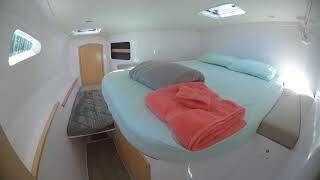 The yacht comes with full galley, sheets, blankets, cookware, snorkel gear and kayak. No license is required, however, boating experience is required. Do you want a catamaran that can hold up to 28 people for a function around Brisbane? This brand new seawind 1160 catamaran has the capability to do that with a Moreton Bay Holidays Afloat Captain and Deckhand. She can also take up to 10 guests on overnight self hire and drive or longer charters. This yacht can reach up to 10 knots she is so light under sail. Making for an exhilarating ride! Moreton Maiden bases out of Sandgate.